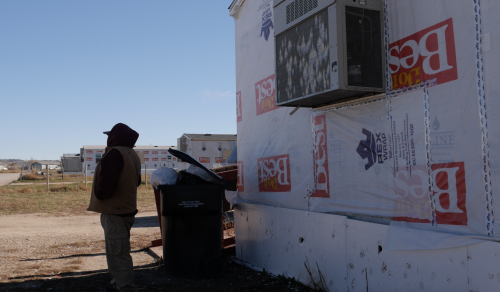 OGLALA, South Dakota – Hundreds of Natives at the Pine Ridge Sioux Reservation face life threatening danger after the Federal Emergency Management Agency refused to assist the tribe still suffering from a devastating summer hailstorm. 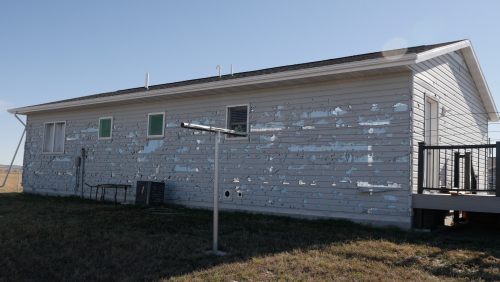 Approximately 550 houses, trailers, many of which are FEMA houses that were set up in and around Oglala after an earlier tornado, suffered collapsed roofs, smashed in windows and doors, and little to no protective siding after the July 27 storm that brought tornado-like winds and hailstones the size of softballs. Water pipes are already freezing. Electric and propane bills have reached deep winter highs, according to residents. Many homes are simply wrapped in Rex Wrap, have windows broken or missing, and are boarded up with plywood. Broken Nose said his water pipes have already frozen, and he’s been paying more than $300 for his electric bill since the storm hit. Like many of the elderly around him, he lives on a fixed income. Wilson said they’ve reapplied and are working with the Department of Homeland Security along with nonprofit groups to be able to repair the homes before winter sets in. The work force and supplies the tribe currently has is not enough to get the job done before the end of November, typically when near-constant freezing weather arrives. “We’re hustling and trying to get things done quickly as possible before the winter storms, it’s an ongoing effort by multiple groups,” Wilson said. Damages range from total destruction to some houses that suffered broken windows, Wilson said. The Pine Ridge Indian Reservation declared a state of emergency the same day as the storm, which brought tornadoes, damaging winds, hail, severe flooding, downed trees, large scale power outages, and the loss of homes, according to the tribe’s press release. “The effects of this situation constitute a disaster wherein human life and public and private property are, or likely to be, endangered,” then tribal president Troy S. Weston said. Julian Bear Runner, the president elect of the Oglala Nation, deferred comments until after he has officially taken office. The Federal Emergency Management Agency, better known as FEMA, is an agency of the U.S. Department of Homeland Security that responds to disaster situations with government relief. FEMA Housing is a government program that assists homeless or displaced people with monetary awards to find temporary and affordable places to live after a disaster. 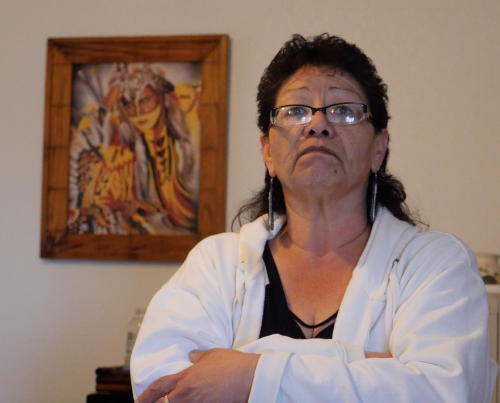 Representatives from FEMA came to Oglala, but said the request for help didn’t meet the requirements for federal assistance that stipulate damages must exceed $200,000. Earlier this summer President Donald Trump’s Administration transferred $10 million away from FEMA to invest in one of his top priorities – the deportation of undocumented residents inside the United States, according to a recent report by NPR. Despite criticism calling the transfer of monies “reprehensible,” the White Houses insisted that FEMA has “plenty of resources” to respond to Hurricane Florence and other natural disasters. “I see more than $200,000 in damages, but FEMA didn’t see it,” Shirley Holy Rock , coordinator for Circle of Life Care, said. “A lot of homes were not assessed. With only half a million dollars to work with, the tribe’s emergency management team reported it needs about $4 million dollars to help repair the houses before the winter months, where some could freeze if nothing is done. More importantly, the tribe is asking for volunteers to help with construction, including broken windows, blown out doors, vinyl siding, and collapsed rooftops. Workers and volunteers currently involved will be able to repair 40 to 50 houses before sub-zero temperatures set into the area. The tribe could use at least 30 more people to help with the repairs. Steve Wilson welcomed donations including Menards gift cards, money, materials, or volunteers. 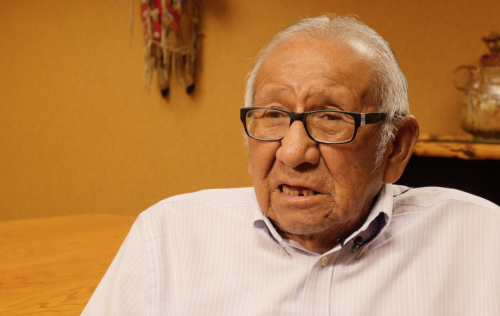 All financial contributions are to be sent to the tribe’s Treasury department, he said. Skilled help in the electrical and plumbing fields is what the tribe needs most, Wilson said. FEMA External Affairs Lynn Kimbrough acknowledge that damage assessments were completed following the July storm, adding that the transfer of $10 million from FEMA did not have an impact on their refusal to help the affected areas. The funds redirected toward ICE did not come from the disaster relief funds. “It wasn’t even a blip on my radar screen because I knew it didn’t come from the disaster fund,” Kimbrough said. FEMA receives approximately $16 billion each year to deal with natural disaster situations. “I understand that when someone loses their home, it doesn’t get any more severe than that," Kimbrough said. "But for a federal disaster declaration there has to be a broader more widespread impact. I don’t want to say that that diminishes in any way the personal impact of people who were devastated by that storm, but it wasn’t a situation that could be declared a federal disaster." Kimbrough said there was no set amount of financial damage investigators were trying to assess, but rather they were investigation how widespread the damage was. "We tried to get our arms around the extent of the damage," Kimbrough said. "The severity, although devastating for individuals, did not rise to the level of a Presidential major disaster." Kimbrough is with FEMA Region 8, which covers six states including North Dakota and South Dakota. 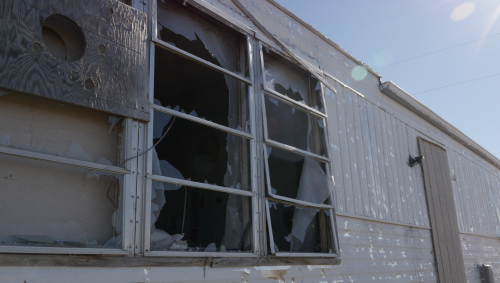 The damage to the village of Oglala effected people more than infrastructure. FEMA reported they will continue working with the tribe to assist how they can. All inquiries can be directed to the Pine Ridge Sioux Tribe at (605) 867-5821 and ask for the President's office or the tribal operator.